This evening, choir took over the Mane Stage for their final concert of the year, Pops. 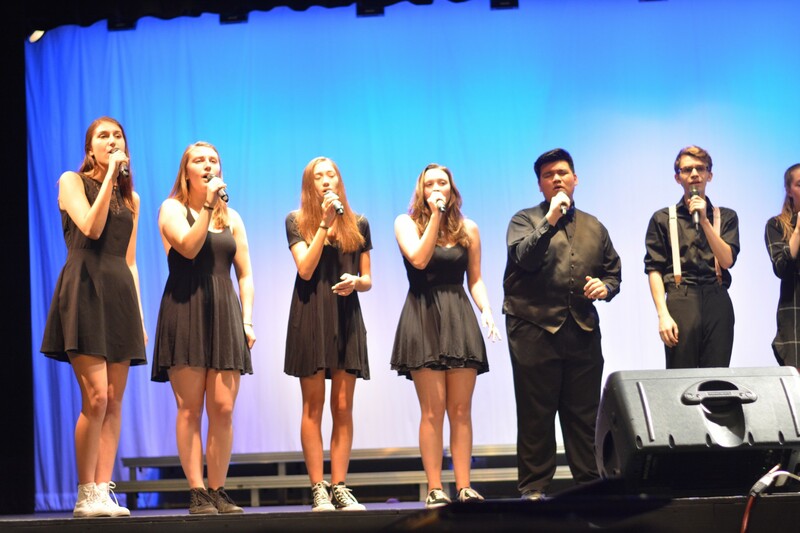 The show featured medleys and performances from Manwich, Chordially Yours, Women’s Ensemble, Concert Choir, Vocal Jazz, Syrens and Troubadours, plus a handful of solo performances by select students. As always, students dressed in costume according to their theme. 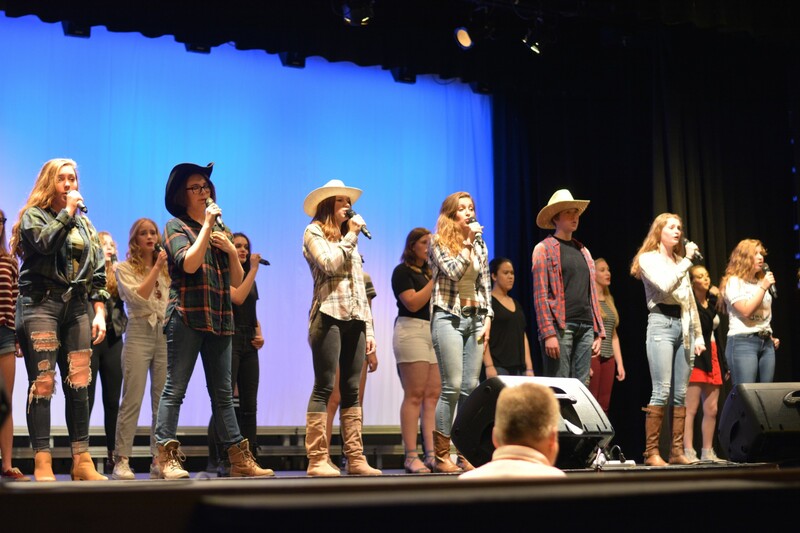 Syrens opened the second act, sporting mostly cowboy boots and dresses, in homage to the country-pop inspiration of their medley, Taylor Swift. As always, Troubadours closed the show with their somewhat hilarious and wildly talented mashup of songs. This year the theme was “Dreams” and every member of the choir came dressed in pajamas. 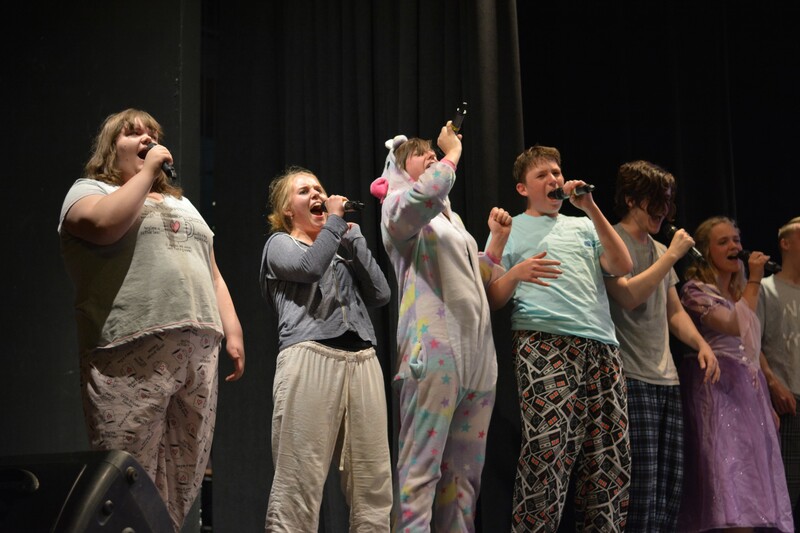 Although the choir was dressed ready for bed, their performance kept the audience wide awake, with songs like Aerosmith’s “Dream On” and musical numbers such as “I’ve got a Dream” from the movie Tangled. It was evident that both the audience and the performers were having a blast. 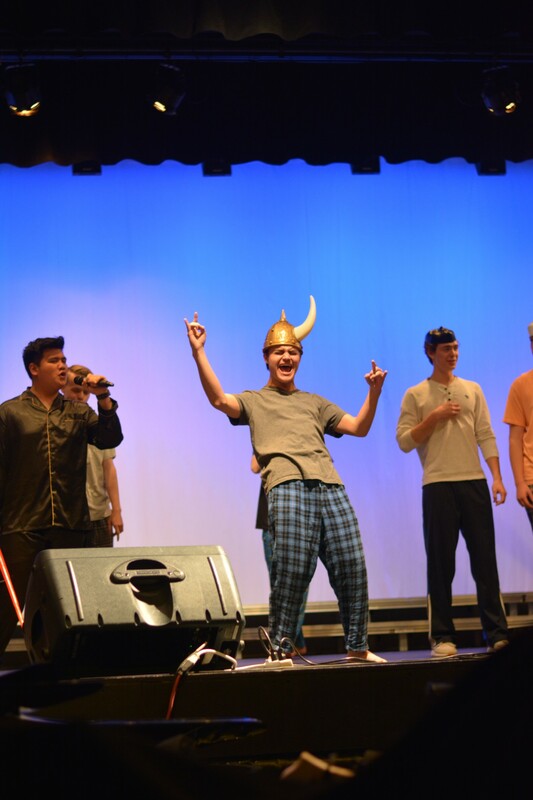 “I just love Pops because it’s really fun and everyone just gets to have fun in choir. A lot of choral singing is very serious and… Pops is very different because everyone just kind of jumps around and sings pops songs. That makes it really fun,” said senior Preston Novinger. 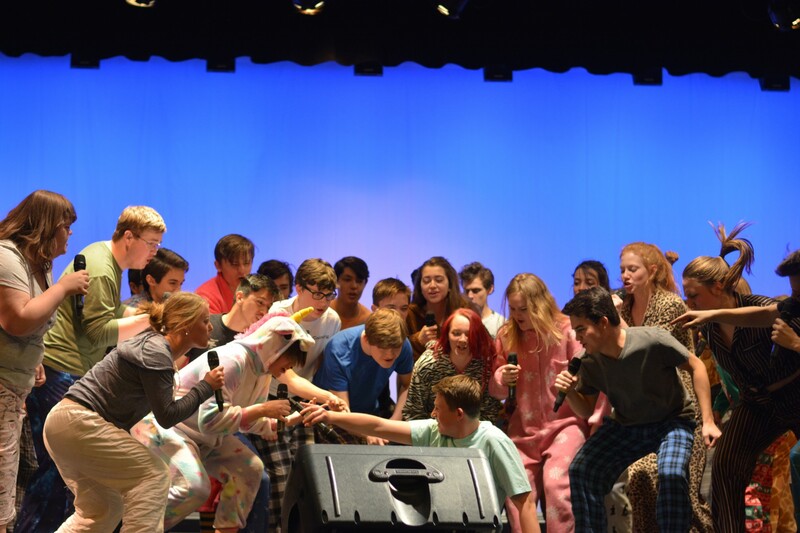 Numerous underclassmen were experiencing the fun of Pops for the very first time, but for many seniors, this was their last choir concert ever. “I am kind of sad that it’s my last choir concert in high school, because this has been the last four years of my life, but it hasn’t really hit me yet. 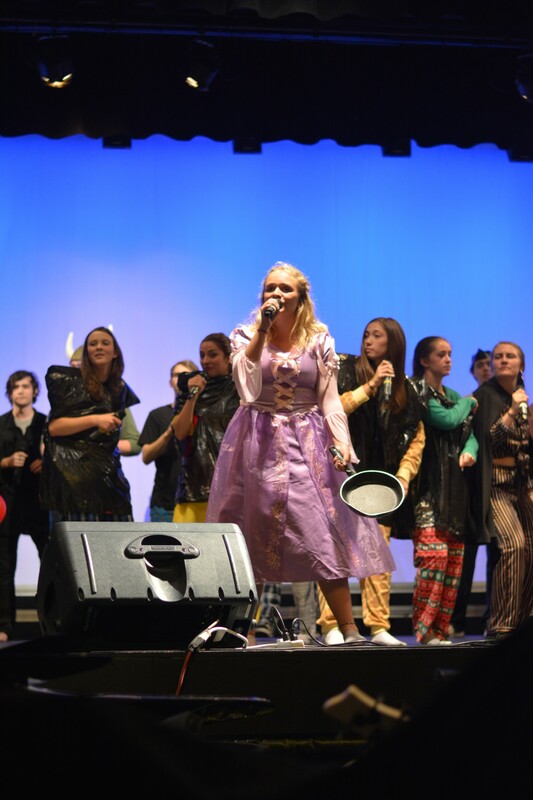 I just had so much fun up there,” said senior Kylie Griggs. The second Pops show, and very last concert of the year, will be held tomorrow, May 4, at 7 pm in the theater. If you are thinking about getting a ticket, senior Alexa Beale says it is worth it. “It’s worth the two and a half hour show, I promise you that. Everyone has so much fun. You can sing along and it’s awesome,” said Beale. 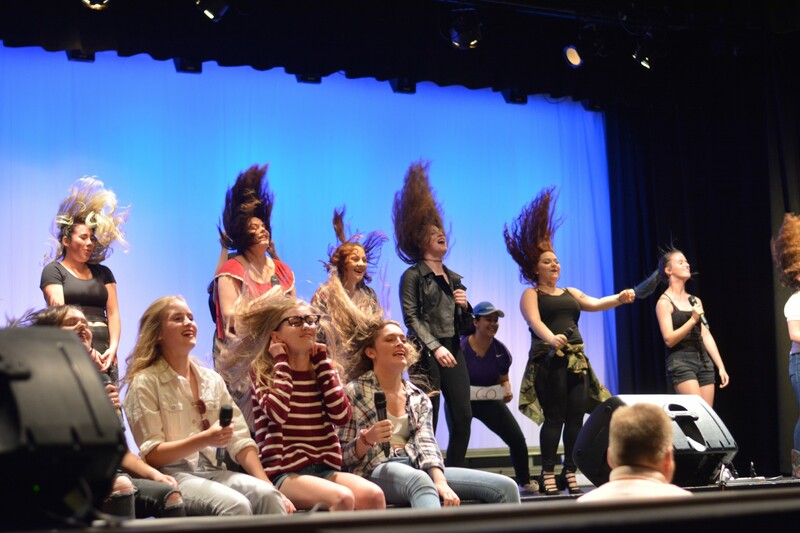 The key word on the Mane Stage this Pops is fun. The show may be long, but time flies when you are having fun. Syrens take on Taylor Swift. Syrens flip their hair, embracing their inner Swift. Bella Hathorne sings “Wait” by Billie Eilish. 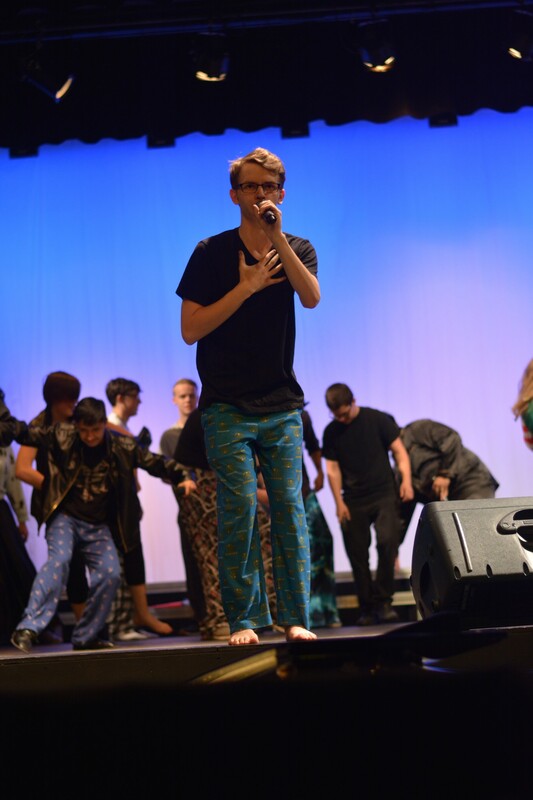 Senior Preston Novinger belts out a note about nightmares. 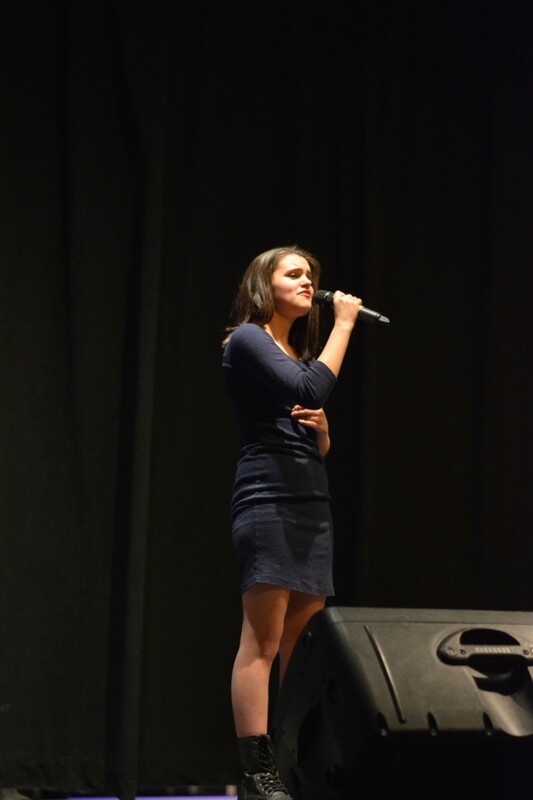 Senior Astrid Henrikksson sings as Rapunzel.